I love the title of this book. 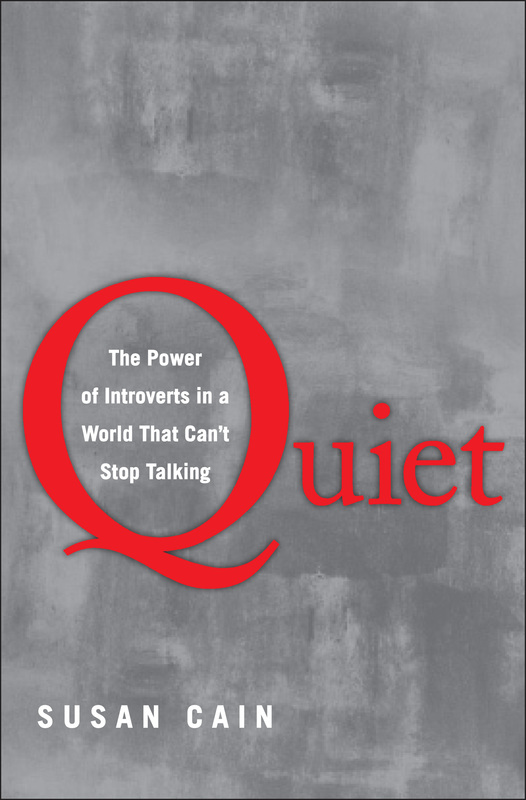 Quiet: The Power of Introverts in a World That Can’t Stop Talking. Listening to loud, incessant talking gives me a headache. Unfortunately this “noise” is the norm, rather than the exception. Just turn on the television set and watch a few commercials or catch a daytime talk show. Personally, I do not enjoy listening to people as they talk over each other. However, as Susan Cain points out, the “Extrovert Ideal” has indeed “permeated our culture.” Despite the premise that introverts comprise, at the very least, one-third of the people we know, they remain undervalued in American society – much to our detriment. Impeccably researched and beautifully written, this book is replete with interesting stories of real people and we get to meet some highly successful introverts, dispelling the myth that he who shouts loudest gets heard. This book is a thought-provoking read. Introverts will be inspired and extroverts will gain some new and interesting perspective. Quiet has been on the New York Times Bestsellers List (Paperback, Non-fiction) for twenty-four weeks straight and is not likely to fall off the list anytime soon. This entry was posted in heatherfromthegrove, inspiration, lessons learned, literati, non-fiction, other musings, visionaries, philanthropists & sheer brilliance and tagged books, Extrovert Ideal, extroverts, Heather Joan Marinos, Heather Marinos, heatherfromthegrove, heatherfromthegrove's non-fiction spotlight for today:"Quiet:The Power of Introverts in a World That Can't Stop Talking" by Susan Cain, introverts, listeners, New York Times Bestsellers, non-fiction, Quiet: The Power of Introverts in a World That Can't Stop Talking, summer reading, Susan Cain, talkers. Bookmark the permalink.